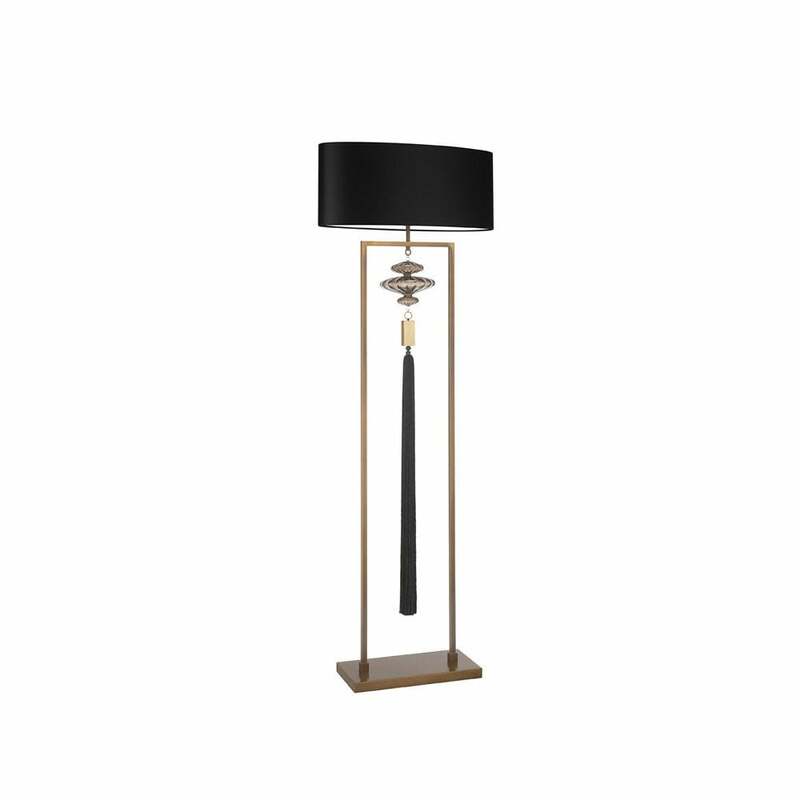 The Constance Floor Lamp by Heathfield & Co draws inspiration from the art deco era. The rectangular base and framework is hand-crafted in silver nickel. Decorative, coloured tassels fall from fluted glass globes creating a luxurious focal point. Available in three colourways - Sea Jade, Clear and Rich Purple. Complete the look with a high-quality shade made in either linen, cotton or sik. Make an enquiry for more information. Priced for 24" Oval shade in silk with white PVC lining. Please contact us for other options.